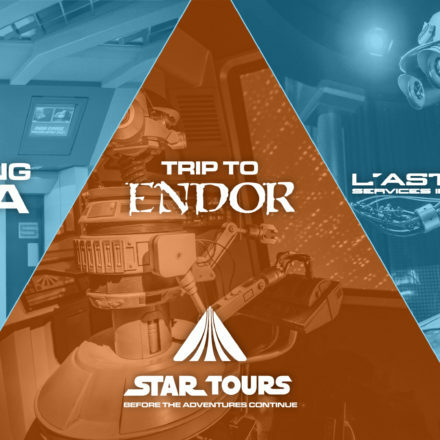 How many of us can claim to have ridden ALL FOUR of the Star Tours rides? 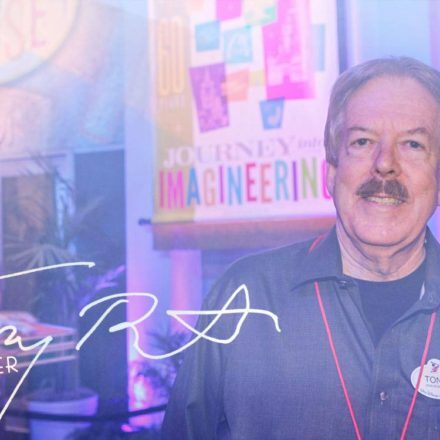 No, I don’t mean riding each individual simulator at the park closest to you… I mean riding in EACH of the four parks that host the ride (Anaheim, Tokyo, Orlando, and Paris)! Well, recently, seven dedicated Australian Disney buffs accomplished just that– and a little bit more– in just over one month! According to an AP report filed by Sylvia Hui, the seven members of the Down Under Disneyana fan club spent $4,661 to travel the globe in 32 days, visiting every Disney theme park and riding every ride. In addition to timing their visits to take advantage of off-season periods for smaller crowds, and round-the-world airline prices, organizer Wayne Godfrey timed the trip so they would not only be in the newest park (Hong Kong) for its one-year anniversary on September 12th, but also in the oldest park (Anaheim) for the final day of its fiftieth Anniversary celebrations on September 30th. The club members were most excited about visiting the Paris park, as none of them had ever been to the one in France. Hong Kong is the closest to Australia, and some members had visited the two American parks an average of eight times. But they pointed out that ALL the parks are so far away from Australia, they “can’t go every week”. At best they can average one trip per year… so this year they went all-out. And best of all, now they’ve gotten to hear Captain Rex wish them “welcome aboard” in English, Japanese, AND French!